Those of you that the Puffco range, you will be well aware of their amazing products. The Puffco Plus is no different and has been on the market for some time now. Like all vapes and smoking rigs, we can experience some technical issues and may not be aware of just what to do to solve them. Most of the issues come down to simple human error. 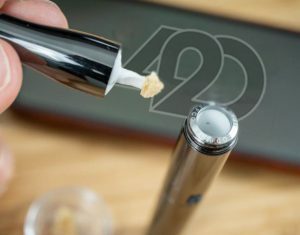 There are a few common problems circulating about the Puffco Plus, from general cleaning to maintenance and even connection issues. We have listed the most common problems being dealt with and how you can easily solve them. If you have any issues, take a look and we can help. How do I clean my Puffco Plus? For general cleaning, warm the chamber by entering Sesh Mode for one cycle. Then, unscrew the mouthpiece and place to one side. Take a clean piece of paper towel and lay this on a nice flat surface. By turning the Puffco upside down onto the towel, all the excessive by-product will run out. If your device is very dirty you can repeat this process a couple times. It is normal for the bottom of your Plus chamber to darken over time. Just as a ceramic nail typically would after some use. This will not in any way affect the overall performance of the chamber itself. The mouthpiece, battery, and threading can be cleaned by wiping with a cotton swab dipped in ISO. Do not soak any gunmetal parts of the Puffco Plus in rubbing alcohol. Do not stick any foreign objects such as q-tips into the ceramic chamber. This is most commonly the result of a connection issue. Sometimes even the smallest pieces of dirt can cause a bad connection. A bad connection stops the pen from working at its full potential. 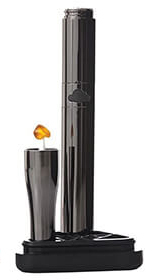 To start, we recommend that you try cleaning the gold connection pins between the battery and atomizer. This may help solve any connection issues that may be occurring between the two. This can be done with the wipe of a cotton swab dipped in ISO alcohol. You should also make sure the connection between the battery and the charger is just as clean so that the battery can fully charge. You can simply wipe the battery connection with a clean, dry cloth. How Do I Prevent My Atomizer from Leaking Product Trough To The Battery? 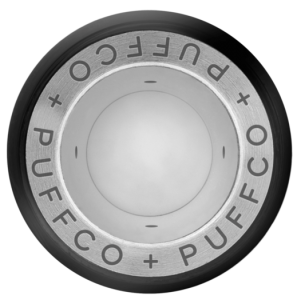 We all know the quality of the Puffco products and the Plus is no exception. The Plus was designed for efficiency and strength, so stick to smaller loads at a time and refill peruse for the best possible experience. In this case, less is definitely more. Also, keep the pen completely upright when warm – There are small holes on the walls of your chamber that help promote airflow throughout. However, if the contents inside the chamber are hot they may leak through these holes if the pen is not held vertical. The battery and threading can be cleaned of any leaked product using a paper towel or cotton swab dipped in ISO. That should help with any sticky mess and should not affect the performance of the battery itself. How Do I Fix A Clogged Chamber? If you love the Plus as much as we do, with extended use it is possible for clogging in the chamber to occur. Please also keep in mind a variety of substances, consistencies, and flavors of oils can be used in the pen, as long as they are not too runny, sappy or in a liquid form. To alleviate clogs you can unscrew the mouthpiece and hold the pen upside down over a paper towel or hold the pen upside down using your Prism. Then you want to initiate Sesh Mode for a cycle or two allowing any by-product to drip out of the holes in the chamber. You may have to repeat this process a few times depending on how heavy of a blockage you have. If this is the case, let the pen cool every 2-3 Sesh Mode cycles. This is because the pen will get very warm! My Chamber Is Not Heating, What Do I Do? If the battery is functioning as it should and your chamber won’t heat you may be experiencing a connection issue. In this case, we always recommend cleaning the gold connection pins located on the top of the battery and the underside of the chamber. 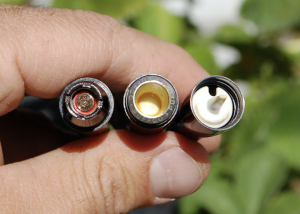 This can be done with a cotton swab dipped in ISO and will help alleviate any connection issues occurring between the atomizer and battery. Sometimes even the smallest bit of debris can prevent the pen from working properly. your device to its full potential then please feel free to contact us. Do this by leaving a comment or dropping us an email.